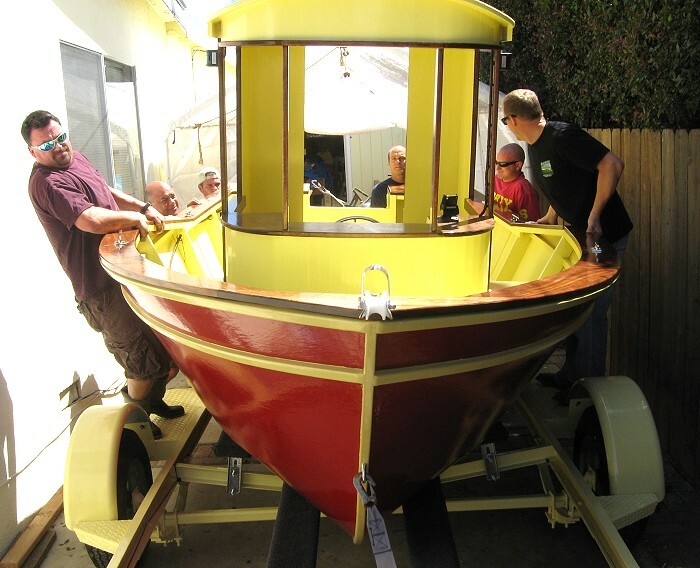 My name is Carol Bennion and I thought you would be interested in seeing the boat my brother-in-law built from your drawings of the “Sherwood Queen”. 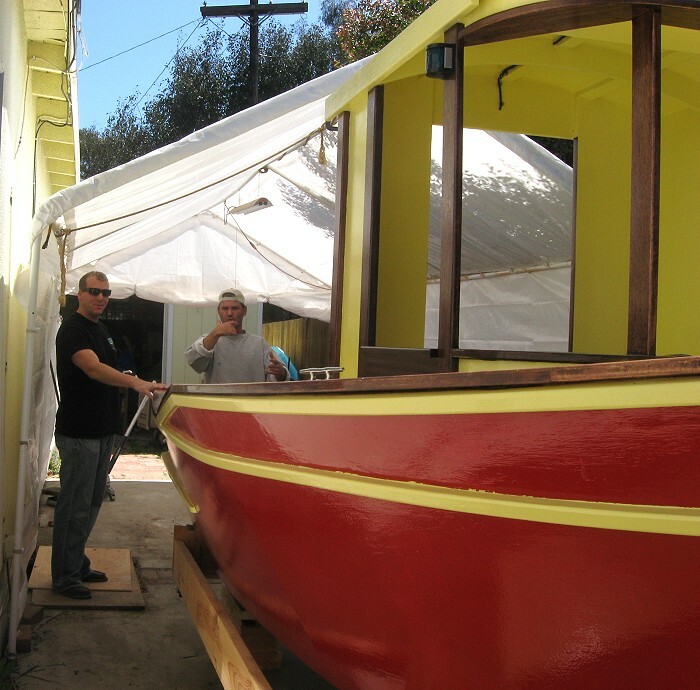 It will be ready just in time for Summer! 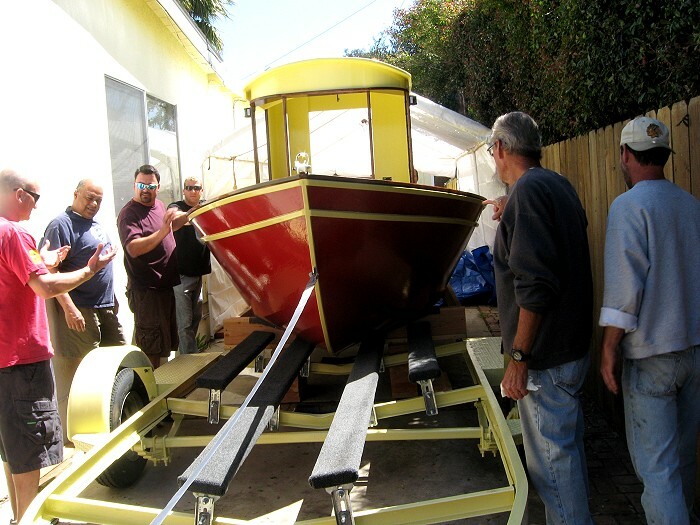 A nice launching party is a must to celebrate this beautiful boat. 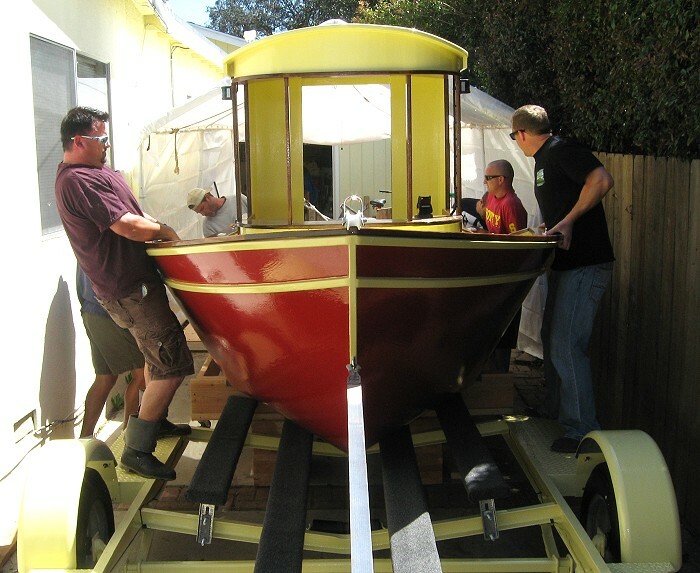 In the pictures, all of the neighborhood guys are assisting Chuck (the builder) in getting the boat onto the trainer. 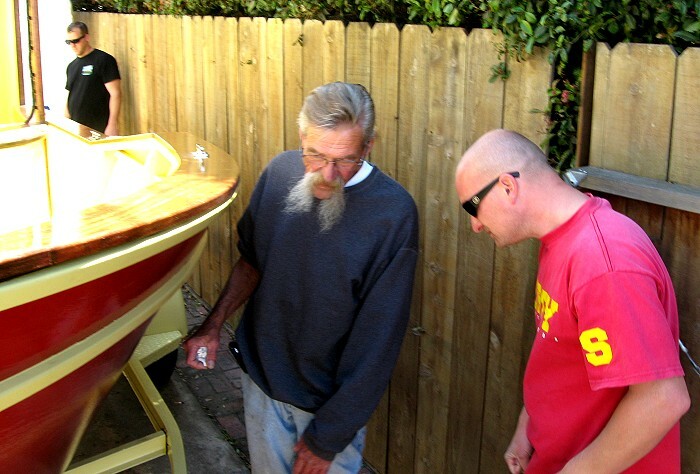 They have all watched this beauty being built and everyone approached it with TLC and a lot of respect for the boat builder. 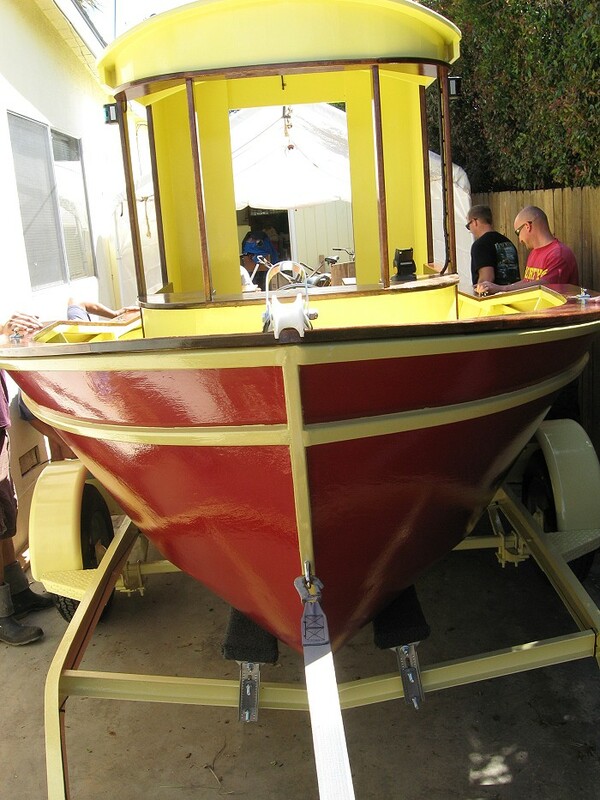 Better pictures to come but I thought you would be interested in how one of your boat designs turned out! 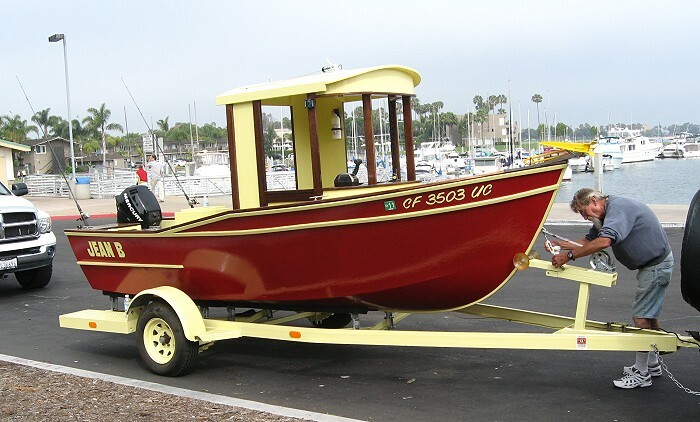 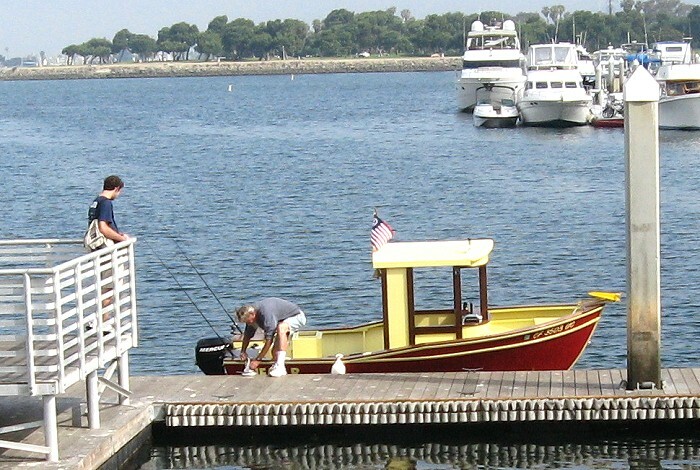 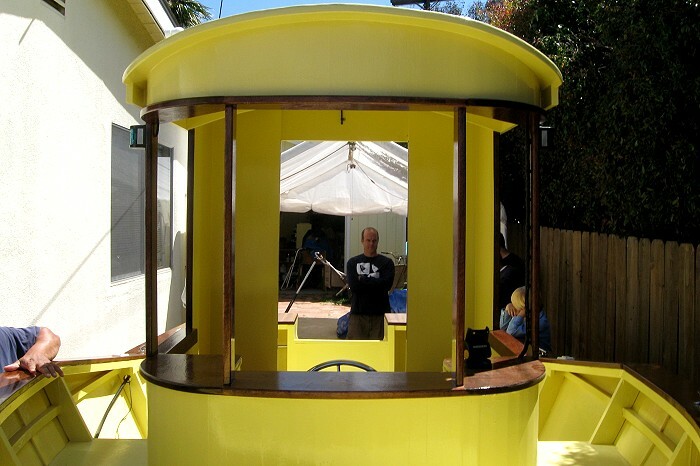 My husband, Chuck, has made an absolutely beautiful boat from your plans.